1) (Oldstock, co. Wilts, bart., extinct 1876; descended from Sir John Webb, Knt., of Oldstock, temp. James I.). 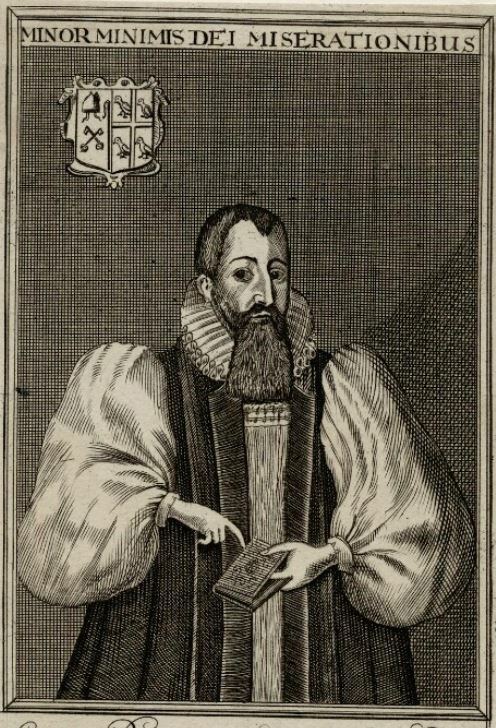 (St. James, Clerkenwell, co. Middlesex; John Webb, Esq., son of John Webb, of St. Giles-in-the-Fields, the brother of Sir John Webb, Knt., of Oldstock. Visit. Middlesex, 1663). Gu. a cross betw. four falcons or. Crest—Out of a ducal coronet or, a demi eagle rising gu. 2) (Motcomb, co. Dorset; granted 17 June, 1577). Gu. a cross humettee engr. betw. four falcons or. Crest—Out of a ducal coronet a demi eagle displ. or. 3) (co. Wilts; confirmed by Cooke, Clarenceux). Gu. a cross betw. four falcons close or. Same Crest as the last. 4) (cos. Gloucester and Kent). Or, a cross quarterly gu. and sa. in the dexter chief quarter an eagle displ. of the third. Crest—A hind’s head erased ppr. vulned in the neck gu. 5) (Frittenden, co. Kent). Or, a cross quarterly gu. and sa. betw. four eagles displ. gu. 6) (co. Gloucester). Same Arms. Crest—An eagle displ. sa. 7) (Kimbolton, co. Huntingdon). Ar. an eagle displ. with two heads, on a chief az. three crosses formée fitchée or. 8) (Gillingham, co. Kent). Gu. a fess betw. three owls or. Crest—A dexter arm embowed, holding an oak branch ppr. 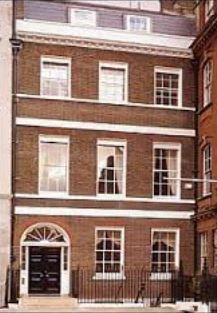 9) (London; granted 1766). Az. a bezant, on a chief or, three martlets gu. Crest—Out of an Eastern coronet or, a dexter arm erect couped at the elbow, habited az. cuffed ar. holding in the hand a slip of laurel all ppr. 10) (London; granted 10 Sept. 4 Edward VI.). Per chev. flory counterflory gu. and ar. three greyhounds’ heads erased with collars all counterchanged. 11) (London). Az. on a chief gu. three mullets or. 12) (Harrow Hill, co. Middlesex; granted 1587). Or, a cross wavy sa. in the chief dexter quarter an eagle displ. of the second. Crest—A demi eagle displ. or, pellettée, ducally gorged gu. 13) (Saltash. ; originally of Exeter). Or, a cross sa. in the dexter quarter an eagle displ. of the second. 14) (Clifford, co. Somerset). Sa. three escallops in bend ar. Crest—A demi stag springing ar. attired or. 15) (The Berrow, co. Worcester). Az. a cross flory or, betw. in the 1st and 4th quarters an eagle displ. and in the 2nd and 3rd a maunch ar. Crest—The battlements of a tower ar. thereon a demi eagle displ. az. winged vair, in the beak a spur gold. Motto—Be firm. 16) (Weobley, co. Hereford). Or, a cross quarterly gu. and sa. in the 1st quarter an eagle displ. of the last, beaked and membered of the second. Crest—An eagle displ. as in the arms. 17) (Donnington Hall, co. Hereford). Az. on a chief gu. three mullets or. Crest—A stag lodged ppr. 18) Quarterly, az. and gu. a cross erminois betw. four falcons ar. belled or. Crest—A phoenix az. issuing from flames ppr. winged ar. collared or, therefrom pendent a cross cold. 19) Or, a cross wavy sa. in the 1st quarter an eagle displ. gu. Crest—A demi eagle displ. ar. wings pellettée, ducally gorged gu. 20) Ar. a cross moline az. betw. four estoiles pierced gu. Crest—A broken spear, part in pale and part in saltire ppr. enfiled with a ducal coronet or. 21) Quarterly, 1st, vert in chief two garbs in fess, and in base as many sickles in saltire, the dexter surmounted of the sinister or; 2nd, vert a chev. betw. three pheons or; 3rd, az. a lion ramp. debruised by a bendlet or; 4th, ar. a cross wavy gu. the whole within a border gobonée ar. and gu., over all on a canton az. three Iioncels ramp. ar. 22) (Dublin; Fun. Ent. Ulster’s Office, 1617, Elizabeth, wife of John Webb, “learned in the law”). Or, on a bend engr. gu. three crosses crosslet fitchee of the field. 23) (George Webb, Bishop of Limerick, 1634, descended from co. Wilts, d. a prisoner to the rebels in the Castle of Limerick the day before it was surrendered, 23 Jan. 1642; Fun. Ent. 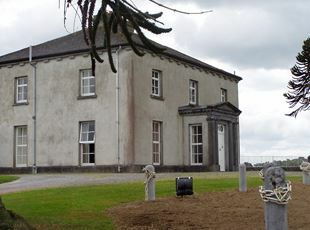 Ulster’s Office, 1673, of his dau. Elizabeth, wife of Ambrose Jones, Bishop of Kildare). Sa. a cinquefoil ar. betw. three leopards’ heads erased and affrontee or. 24) (Ballymote, co. Sligo; confirmed by Carney, Ulster, to William Webb, of that place, Engineer in Oliver Cromwell’s army in Ireland). Ar. a cross embattled gu. in the first quarter an eagle displ. sa. Crest—A lion pass. or, pelletlee. Motto—Victoria a Domino. “25) (Castle Leckey, co. Londonderry; allowed by Betham, Ulster, 1848, to Edward Brianabd Webb, Esq., of Castle Leckcy, son of Edward Webb, Esq., of Stowmarket, co. Suffolk, and grandson of Joseph Antrim Webb, Esq.). Quarterly, 1st, vert in chief two garbs or, in base as many sickles In saltire of the last; 2nd, vert a chev. betw. three pheons, points down or; 3rd, az. a lion ramp. ar. debruised with a bendlet or; 4th, ar. a cross wavy sa. all within a border gobonde ar. and gu. on a canton az. three lions ramp. 26) (Woodville, co. Tipperary; confirmed to Charles Daniel Henry Webb, Esq., of Woodville, and to the Other descendants of his grandfather, Major James Webb). Erminois a cross couped sa. charged with a mullet ar. on a chief gu. a heron betw. two crosses crosslet fitchee of the third. Crest—A demi eagle displ. gu. wings erminois, in the beak a cross crosslet fitchee or, and on the breast a mullet ar. Motto—Quid prodest. 27) (New York) – De gueules à la croix alésée d’or cantonnée de quatre faucons d’argent Casque couronné Cimier une aigle issante d’or. This is a primarily English and Scottish last name that was an occupational surname meaning “the webbe”, i.e. “the weaver”, deriving from the Middle English word webbe and Anglo-Saxon or Old English word webba. This occupation involved spinning or weaving cloth, an important job during medieval times and the Middles Ages throughout Europe and Christendom. It is thought the name came to England during and after the Norman Conquest of 1066 AD. The family first held land and titles in Wiltshire. In some cases, it is also an Americanized spelling of several Jewish names (ex. Weber and Weberman). Some spelling variants or names include Web and Webbe. Names with similar etymologies include Webber, Webster, and Weaver. The last name Webb ranks 137th in popularity in the United Status as of the 2000 Census. The name ranks particularly high in the following nine states: Tennessee, Georgia, Kentucky, Missouri, Oklahoma, Arkansas, Utah, Delaware, and West Virginia. The surname Webb frequency/commonness ranks as follows in the British Isles: England (87th), Scotland (402nd), Wales (101st), Ireland (849th) and Northern Ireland (321st). In England, it ranks highest in counties Cambridgeshire and Oxfordshire. In Scotland, the surname Webb ranks highest in Peebleshire. In Wales, it ranks highest in Monmouthshire. In Ireland, it ranks highest in county Dublin. In Northern Ireland, it ranks highest in Armagh. The name is also present throughout the remainder English speaking world: Canada (350th), New Zealand (165th), Australia (89th), and South Africa (533rd). The 1890 book Homes of Family Names by H.B. Guppy, states the following in regard to this surname: “This name is confined south of a line drawn from the Wash to the Dee. It is most numerous in Somerset and Wilts, in the west of England; but is also well represented in Suffolk in the east of England and in Northamptonshire in the midlands”. The earliest known bearer of this surname was Alger de Webba who was recorded in the Olde English Byname Register around 1100 AD. Osbert Webbe was documented in Suffolk in the Pipe Rolls on 1221 AD. The Hundred Rolls of 1273 AD, a census of Wales and England, known in Latin as Rotuli Hundredorum lists two bearers of this surname: Adam le Webbe (Essex) and Elyas le Webbe (Buckinghamshire). Alice la Webbe was listed in the rolls of the borough of Colchester, England in 1327 AD. Roger le Webbe was documented in the Calendarium Inquisitionum Post Mortem. Simon le Webbe was documented in the Munimenta Gildhallae Londoniensis. Robert le Webbe was listed in county Somerset in a 1327 AD Tax Roll. The Poll Tax of Yorkshire in 1379 AD lists one bearer of this last name: Johanne Wybbe. Nicholas Webbe of Chester was recorded in the Wills at Chester in 1603 AD, as was one William Webb. Early baptisms involving this name include a) Mary Webb, daughter of George, at St. Mary Woolnoth in London in 1550 and B) Mary Webbe at St. Benet Fink in London in 1566 AD. The lineage of this branch of the Webb family tree begins with John Knight of county Oxford, England, who was the father of George Knight, who was an Esquire and Mayor of Bristol in 1639. George married Ann, daughter of William Dyos, age had issue with her, including a son named Sir John Knight. 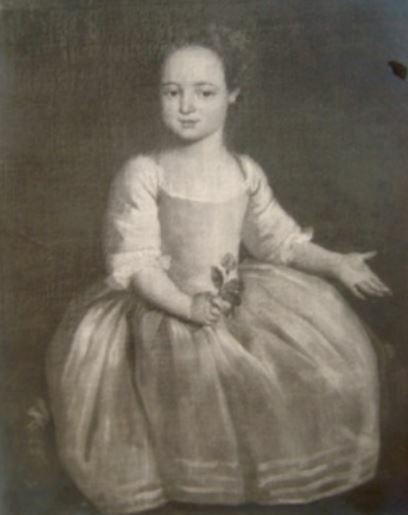 Several generations later came Anne Knight, eldest daughter and co-heir of Reverend Thomas Knight of Joyfields, who was born in 1748. In 1772, she married Thomas Webb of Berrow, county Worcester, Banker, and with him had two issue: Thomas and Anna (married John Merrott Stephens, Deputy-Governor of St. Lucia). She died in 1795. Her son was Thomas Webb, Esquire of Ledbury, county Hereford, who was a Justice of the Peace and Deputy Lieutenant who was born in 1775. 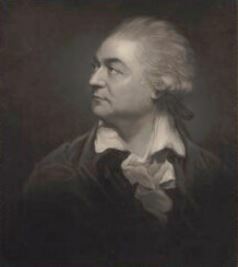 In 1809, he married Anne, daughter of John Thackwell of Rye Court, and had numerous issue with her: Thomas, William Henry (Captain in the Royal Navy), Joseph (of Cobham, married Grace Anne Godsal), Edward John (of Lebury), Charles Knight (Surgeon in the Indian Army), Anne (Miles Astman Wood), Emma (married John William Yerbury), Caroline (married Francis Charles Skurray), and Susan. His son was also named Thomas. This Thomas Webb was an Esquire of The Berrow, county Worcester, England, who was a Justice of the Peace, Deputy Lieutenant, and Captain of the 90th Reigement and Colonel of the Worcestershire Militia who was born in 1812. 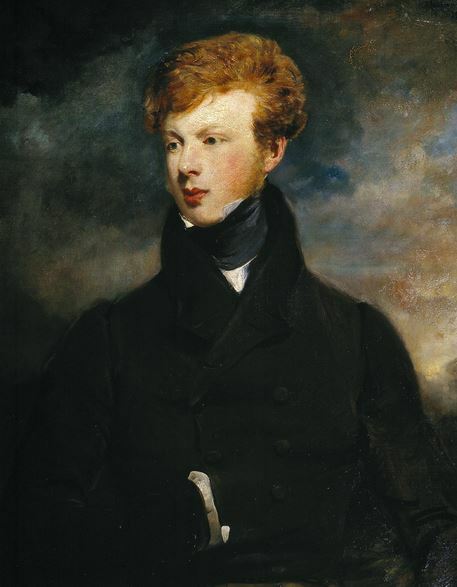 In 1847, he married Anne Elizabeth, child of Reverend Bulkeley Williams of Bemaris, and fathered two children with her: Thomas Bulkeley Knight (4th Foot) and Anne Elizabeth Panton. The Webb Coat of Arms (erroneously called the Webb Family Tree by some) has the following heraldic blazon: Azure, a cross flory or between the 1st and 4th quarters an eagle displayed and in the 2nd and 3rd a maunch argent. Crest: The battlements of a tower argent, thereon a demi-eagle displayed azure winger vair in the wings a spur gold. Motto: Be firm. 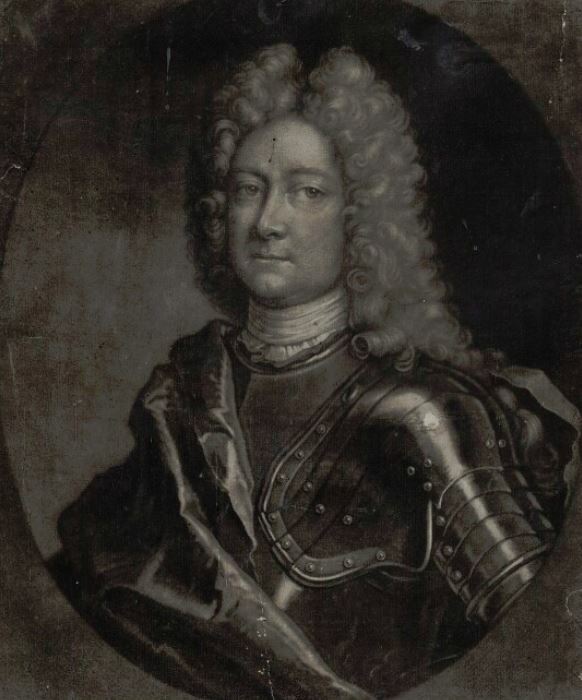 The Webb genealogy begins with Francis Webb, Esquire of Beerham and Burghold, county Berkshire, whose birth surname was Loder. In 1758, he married his first cousin, Anne, daughter of William Webb, and assumed the surname of Webb. 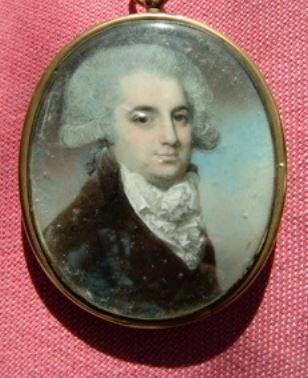 He died in 1806 and was succeeded by his only child, Richard Webb, and Esquire of Donnington Hall who was born in 1795. 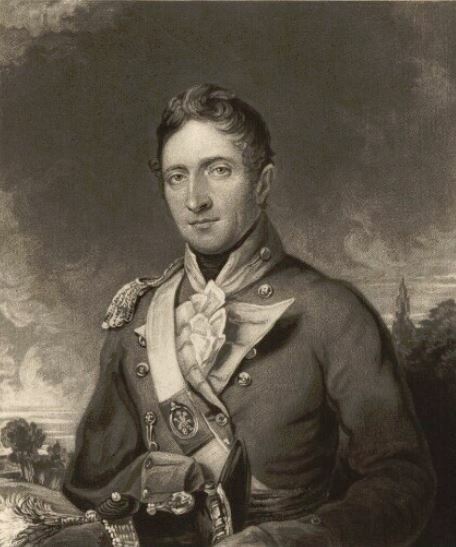 In 1816, he married Frances, third daughter of John George Hannington, and had issue with her: Richard Frederick, Edward Henry (Lieutenant 88th regiment Connaught Rangers, fought in Crimean War), Frances Anne (married Reverend Watson Joseph Thornton, Rector of Llanwarne), Elizabeth Emily (married William Partridge), Marian, Henrietta, Harriet (married Thomas Evans of Moreton), and Ellen Gertrude (married Reverend John Rice Byrne). He died in 1871 and was succeeded by his eldest son, now of Donnington. 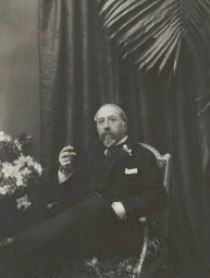 His son Richard Frederick Webb, Esquire of Donnington was born in December of 1831 and he was educated at Christ Church, Oxford. He was a Major of the Herefordshire Militia, as well as a Justice of the Peace and Deputy Lieutenant. In 1857, he married Isabella Catherine Wykeham Fieness, daughter of Frederick, 13th Lord Saye and Sele, and fathered four children with her: Algernon Edward, Maxwell Frederick, Florence Isabel, and Ethel Kathleen. The Webb Coat of Arms (sometimes mistakenly called the Webb Family Shield) is blazoned in heraldry as follows: Azure, on a chief gules three mullets or. Crest: A stag lodged. The lineage of this branch of the Webb family tree begins with Frederick Webb, Esquire of Westwick, county Durham, who married Mary, daughter of A. Sheil, and had four issue with her: William Frederick, Augustus Frederick Cavendish (Captan of the 17th Lancees, died at Scutari during the Crimean War), Katharine Mary (married Colonel John Roger Palmer), and Cecilia Charlotte (married William Wyndham Codrington of Wroughton, Wiltshire, England). Her died in 1846. His son William Frederick Webb, Esquire of Newstead Abbey, county Nottingham and of Cawton, county York, was born in March 1829 and he came a Justice of the Peace, Deputy Lieutenant, and Lieutenant 17th Lancers. In 1857, he married Emilia Jane, daughter of Thomas Mills Goodlake of Wadley, and had six issue with her as follows: Algernon Frederick, Roderick Beauclerk, Augusta Zelia, Geraldine Katharine, Ethel Mary, and Mabel Ceclia. This family was seated at Newstead Abbey, Notts, and Cowtown, Northallerton, North Riding, county York, England. The Webb genealogy of this line begins with a family that migrated to Limerick, Ireland at the end of the 1500s AD or at the beginning of the 1600s AD, from Gloucester, England. 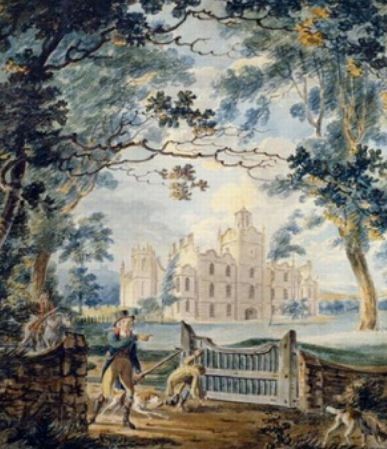 Daniel Webb was an Esquire od Maidstown Castle, Limerick, who married Dorothea, daughter and heir of M. Leake, Esquire of Castle Leake in Tipperary, and had five issue with her: Daniel (married Jane Lloyd and later Elizabeth Creed), Thomas (Dean of Kilmore), Richard (member of Royal Navy), James, and Frances (married Richard Burke). Charles Daniel Henry Webb, Esquire of Woodville, county Tipperary, was born in 1825 and came a Justice of the Peace. In March of 1856, he married Elizabeth Lucy, daughter of Reverend M. Lloyd Apjohn, of Linfield, county Limerick, Rector of Ballybrood, and had four children with her: Daniel James Napier (Lieutenant 88th Connaught Rangers), Michael Marshall Charles, Charles Caleb, and John William Monck (Midshipman in the Royal Navy on a ship named “The Iron Duke”). His son James Webb was an Esquire and Major in the army, who in 1779, married Elizabeth, daughter of Sir John Oglander, Baronet of Nunwell, Isle of Wight, and had a son with her. 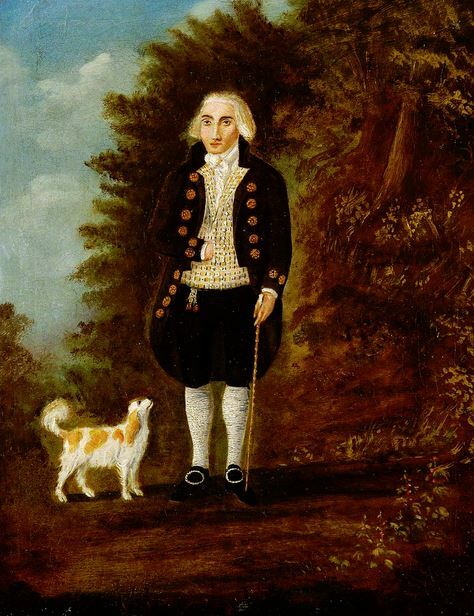 This son was named Daniel James Webb, Esquire of Maidstone Castle, county Limerrick and of Woodville, county Tipperary, Ireland, who was born in 1780. 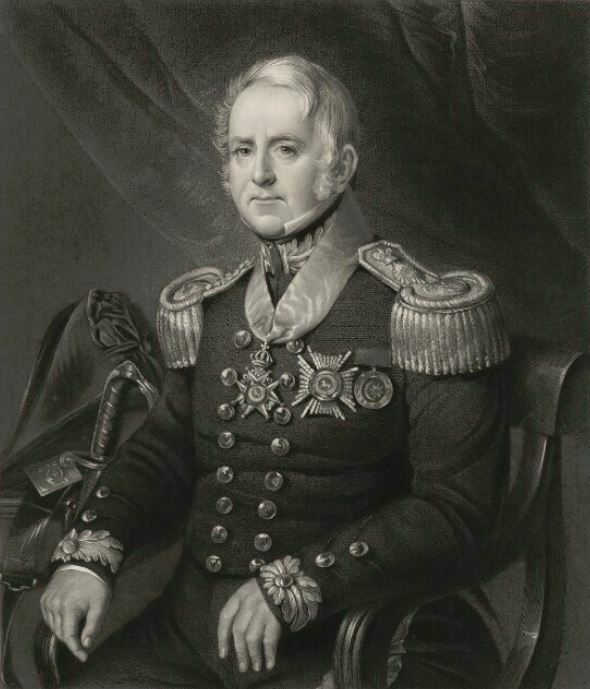 He was a Justice of the Peace, and in 1812, he married Ann Wilhelmina, daughter of Charles Stanley, and had three children with her: James Napier (of Knocktoran, Justice of the Peace, married Anne Kelly and later Anna Thomasina Dubbins), Charles Daniel Henry, and Elizabeth Anne. The Webb Arms (mistakenly called the Webb Family Crest) is blazoned in the European art of heraldry as follows: Erminois, a cross couped sable, charged with a mullet argent on a chief gules a heron between two crosses-crosslet fitchee of the third. Crest: A demi-eagle displayed gules wings ermnois in the beak of the cross crosslet fitchee or. Motto: Quid profest. They were seated at Woodville, Templemore, county Tipperary, Ireland. Sir Alexander Webb II (born in Stratford in 1559 AD). Sir Alexander II came to colonial America. He died in 1629 in Boston, Massachusetts. He married Mary Wilson (while in England) and had the following issue: Richard, Elizabeth (Sanford), William Micajah, John, Christopher Sr., and Henry. His son Richard was born in Norwich, Dorset, England in 1580 and came to America with his father. He married Elizabeth Gregory and Grace Wilson. He had a son named John. This John Webb was born in 1615 in England and he married Anna Bassett in 1647 in Hartford, Connecticut. He had two issue: John and Sarah Price. His John who was born in Boston, MA in 1642 and married Susannah Cunliffe, who had three issue: John, Anna (Waite), and Jonathan. His son John was born around 1690 and he married Priscilla Bray, having two issue: Stephen and Mary. His son Stephen was born in 1721 and he married Mary Tyler, Mary Bears, and Elizabeth Best. He had a son who was also named Stephen. This Stephen Webb was born in 1769 in Salem, Massachusetts. Goodman Webb was recorded as living in Virginia in February 1623. Stephen Webb was recorded as living in Virginia in February 1623. 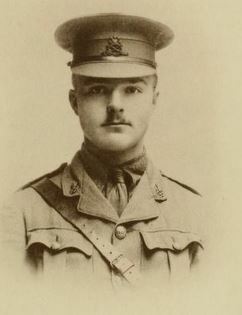 He was under the Muster of Captain Roger Smith who came at the age of 25. Thomas Webb, age 18, came to the Barbados aboard the Faulcon of London in April 1635. Katherin Webb, age 22, came to the Island of Providence (island off the coat of Nicaragua) aboard the Expectacion in April 1635. Thomas Webb, age 18, came to Virginia aboard the Paule of London in July 1635. Edward Webb, age 17, came to St. Christopher’s aboard the Amitic in October 1635. Thomas Webb, age 22, came to the Barbados aboard the Falcon in December 1635. Anthony Webb of Lanceston, age 20 years old, came to St. Christopher’s aboard the Robert Bonaventure in 1634. James Webb was on a list of convicted rebels (Monmouth’s Rebellion of 1685) and was sent to the New World toward the end of the seventeenth century. Samuel Webb, who owned one slave, was recorded as a land owner in the Barbados in 1679. Edward Webb was buried in the parish of St. James in the Barbados in June of 1679. Other early settlers in colonial America bearing this surname include Christopher Webb (Braintree, Massachusetts 1628), Richard Webb (Boston MA, with wife Elizabeth), Arthur Webb (Maryland 1637), Humphry Webb (Virginia 1719), and Isaac Webb (New England 1731). In Canada, one of the first settlers bearing this last name was William Webb, a fisherman, who came to Petty Harbour, Newfoundland in 1735. 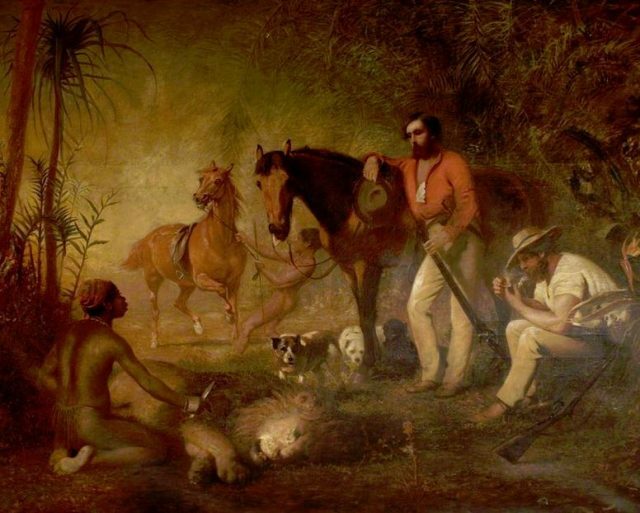 In Australia, Jeremiah Webb, a convict from Cambridge, England who came aboard the Abrab in 1822, arriving in Van Diemen’s Land (present day Tasmania). In New Zealand, some of the first settlers bearing this name came to the city of Wellington in 1840 aboard the Cuba: Charles Frederick, George, William H., and Charles (a bricklayer by trade). 1) Gules a cross engrailed and couped between 4 falcons or. Crest: an eagle rising from a ducal coronet or. Motto: Principia non homines. Bookplate I. Watson Webb, editor, Conn.
2) Gules a cross humettée engrailed or between 4 falcons jessed and belled or. Crest: a demi-eagle displayed issuing from a ducal coronet. Bookplate W. B. Webb, Washington. 1) Richard Webb of Boston, Massachusetts, 1632, from Gloucestershire. Or, a cross quarterly, counterchanged gules and sable. Crest: A hind’s head erased proper vulned in the neck gules. 2) Webb of New Kent, Virginia. Gules, a cross between four falcons or. Crest: Out of a ducal coronet or, a demi-eagle rising gules. 1) William Seward Webb of Sherlburne Farms, Vermont, who was born in New York City in January of 1851. He was educated at Columbia and was a member of the Vermont legislature. In 1881, he married Lila O. daughter of William H. and Luisa (Kissam) Vanderbilt, with whom he had four issue: James Watson (1884), William Seward (1887), Vanderbilt (1891), and Frederica Vanderbilt. Gules, a cross engrailed humettee between our falcons or. Crest: Out of a ducal coronet a demi-eagle displayed or. He was the son of James W. Webb and Laura V. Cram, and grandson of General Samuel B. Webb who was a Lieutenant-Colonel on the Staff of General George Washington during the American Revolution. He descended from Richard and Elizabeth Webb from Gloucestershire, England. 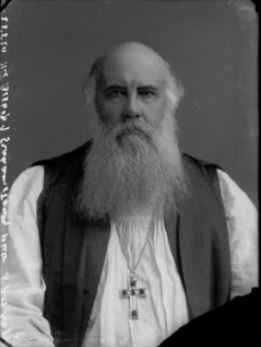 10) Webb-Peploe, John Burch, Vicar of Weobley, county Hereford, 1866. There are hundreds of notable people with the Webb surname. This page will mention a handful. Famous people with this last name include: 1) Alexander Stewart Webb (1835-1911) who was a Union General in the American Civil War who was born in New York City and received a Medal of Honor for his gallantry displayed at the Battle of Gettysburg, 2) Charles Henry Webb (1834-1905) who was an American poet, author, and journalist born in Rouse’s Point, New York who was known for his parodies and humorous works, 3) Chloe Webb (1956) who was an American actress born in Greenwich Village, Manhattan, New York who was best known for her roles in films such as Sid and Nancy, Twins, and Heart Condition, 4) George Alfred John Webb (1861-1949) who was an English painter who had a career in Australia painting portraits of Victoria and South Australian public figures, 5) George Robert Webb (1886-1958) who was a Member of the Canadian House of Commons in the 1940s for Leeds, 6) James Henry Webb Jr. (1946) who is a former United States Senator from Virginia from 2007-2013 and former Secretary of the Navy during the Reagan Administration, 7) Karrie Ann Webb (1974) who is Australias most prominent female professional golfer who was born in Ayr, Queensland and who has 41 wins on the LPGA Tour, 8) General John Richmond Webb (1667-1724) who was a British General and Member of Parliament, 9) William Charles Webb (1880-1960) who was a New Zealand who from Lyttleton who won the professional World Sculling Championship, and 10) Anthony Jerome “Spud” Webb (1963) who was an American basketball point guard in the NBA who was born in Dallas, Texas and several different teams between 1985-1998, considered one of the shortest players in NBA history. The three main heraldic symbols in the Webb Coat of Arms (sometimes erroneously called the Webb Family Crest) are the falcon, eagle, and cross.